When creating the Louis Bar Chair, Ottiu was inspired by the most influential jazz trumpeter and singer of the 20th century. Louis Armstrong was one of the first truly popular African-American entertainers who shared his talent and passion for great jazz music with the public. The Louis Bar Chair shares his charismatic presence creating a statement within any interior scheme. Upholstered in the highest quality cotton velvet, the curved backrest features contrasting golden piping for a luxurious feel. The deep seat and strong structure is supported with solid walnut legs adorned with Ottiu’s signature brass accents. 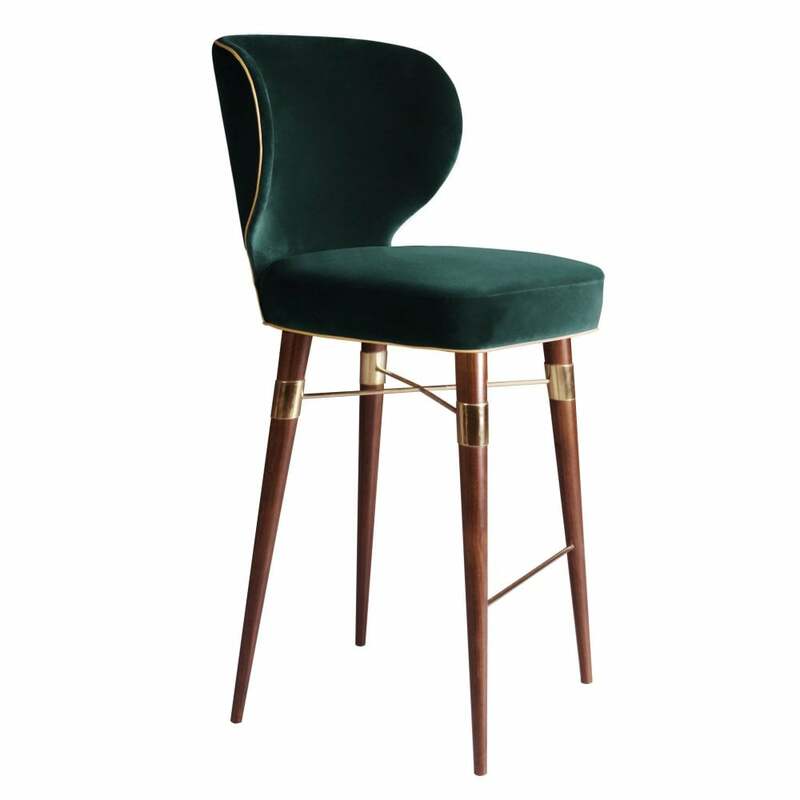 This modern mid-century bar chair will fit perfectly into a contemporary kitchen scheme or luxury commercial space. Available in a range of finishes, make an enquiry for more information. Priced for Upholstery: Ottiu Fabric. (USD) Structure: Pinewood, legs in walnut wood with high gloss varnish. Details: Golden piping, Polished brass accents.